If you’re a Spacial regular, you’ve probably checked out SAM Broadcaster Cloud’s Bronze package, the starting level for your station’s success. It lets you dip a toe into the water of digital audio; one that, we imagine, will leave you hankering for a deeper swim. Oh – and there’s full support if anything goes wrong, via the Spacial team. However, the Bronze pick is only designed to get you started. 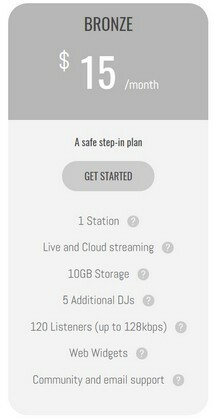 10GB which is the storage capacity will dry up after a few months’ upload of music, and you’ll probably want more. Also, you’re limited to one station. Fine if there’s no plan for expansion; otherwise, several stations are a no-brainer, as they’ll extend your capability. 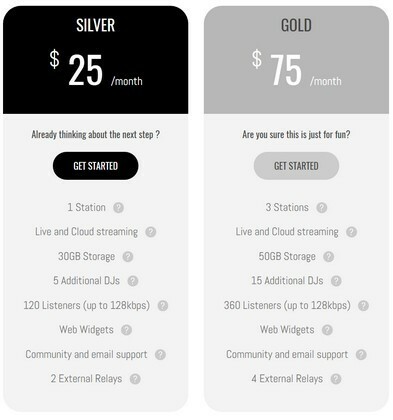 Eventually, most broadcasters will look at the Silver and Gold upgrades for their radio automation software. SAM Broadcaster Cloud Silver and SAM Broadcaster Cloud Gold cost a little more, but they’re worth it in every respect. Gives you two external relays to broaden your online presence on internet radio station. This is still with the full tech support, widgets and streaming features that come with the Bronze bundle. Ten additional DJs, up from five i.e. a lot more scope for distributing control to other people. As an aside, we can’t help but shout about the benefits of a yearly Spacial purchase, instead of paying month-by-month. Okay, the upfront sum is bigger, but you’ll end up saving more, as the annual fee has a discount. Essentially, you’ll be getting a whole month free – a great thing if want to reduce costs in the long term.